Welcome to the Lake District in Cumbria, home to Beatrix Potter and William Wordsworth, as well as 16 lakes (plus a multitude of smaller “tarns”), England’s highest mountain, and some of the most spectacular scenery on the planet. 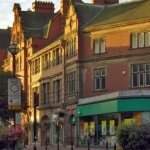 This idyllic corner of northwest England attracts nearly 16 million visitors every year and it’s easy to understand why with so much to see and do. Most people start their Lake District visit in one of the many towns and villages of Cumbria that are dotted between the lakes and fells. Each one has its own unique story. The north-western fells of the Lake District are some of the least visited areas, with many tourists preferring to base themselves closer to Windermere. Many Cumbrian’s joke that they have secretly kept the best bits to themselves, as this area is brimming with beautiful unspoilt landscapes. Even during the peak tourist season, it is still possible to find areas in the northwest fells where you are the only person for miles and miles. Located on the shores of Derwent Water and ideally located for exploring Thirlmere as well as the fells of Skiddaw and Cat Bells, this small but vibrant town is a popular base for visitors to the Lake District, thanks to its collection of boutique shops, quirky attractions, and plethora of places to eat. Here you can take a lake cruise, learn about the history of pencils, and sample local produce at the weekly market. Just a couple of miles outside of the boundaries of the Lake District National Park, Cockermouth is a small town that has seen a resurgence in recent years since the floods of 2009. Birthplace to William Wordsworth, the town is within close proximity to Buttermere, from where you can ascend Haystacks, as well as the lakes of Crummock Water, Loweswater, and Bassenthwaite. Hundreds of years of farming have shaped the north-east of the Lake District, with plenty of common moorlands used for grazing. 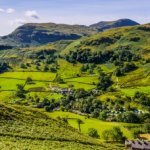 The area also has some of the most challenging fell climbs, including Helvellyn and Striding Edge, and Blencathra, as well as the distinctive Z shaped lake, Ullswater and the Haweswater reservoir. A market town that has been an important trading point for farmers for hundreds of years, Penrith is steeped in history and the place where you will find Neolithic, Roman, and Medieval ruins and artefacts. Penrith has a delightful collection of independent shops and is an ideal base for exploring Ullswater with its historic steamers, and Haweswater from where you can reach the summit of High Street, a fell that once saw legions of Roman troops traversing its gentle slopes. Nestled at the foot of the Helvellyn mountain range at the southern end of Ullswater, Glenridding is a tiny hamlet of great importance to fell walkers. It is from here that many explorers begin their ascent of England’s third highest mountain and the surrounding peaks and ridges that have seen both great accomplishments and great tragedy. Whilst it isn’t part of the National Park, the county town of Cumbria still attracts multiple visitors thanks to its location on the Hadrian’s Wall trail. 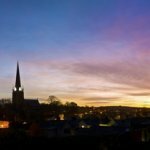 Once the sight of many battles between the Scots and the English, Carlisle is now a bustling city with a large central shopping district and plenty of attractions including its Norman-era castle. The most popular area for visitors to the Lake District, the south east corner of the national park first attracted Victorian visitors thanks to the arrival of the Windermere branch rail way line. Rolling fells and crystal clear lakes dominate the landscape, whilst the area is brimming with some of the most popular attractions in the entire national park. Cumbria’s second town is a gateway to the south east of the Lake District, located just off the M6 and just outside of the national park boundary. 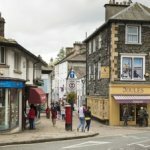 Home to Kendal Mint Cake, and the Kendal Calling festival, this vibrant town has a number of shopping centres as well as one of the oldest museums in the UK. 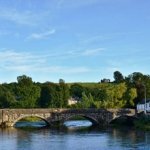 Located between Coniston Water and Lake Windermere, Hawkshead is a picturesque village that is home to the Beatrix Potter Gallery and the renowned Hawkshead Relish Company. 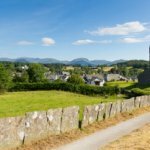 The village is ideal for exploring the nearby Grizedale Forest Park, where you will find cycle and walking trails, as well as thrilling high and low ropes courses. Providing the inspiration for Arthur Ransome’s “Swallows and Amazons” tales, Coniston Water and its namesake village is a popular place for walkers, drawn to the challenges of the Furness Fells that include the Old Man of Coniston and the ridges of Swirl How. Cruises are available on Coniston Water, whilst ale drinkers will delight in the Coniston Brewery. 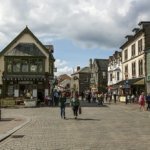 The two small adjacent towns of Bowness and Windermere attract large volumes of visitors each year, making them the area’s most popular tourist destination. 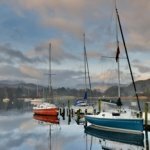 From here you can take a cruise on Lake Windermere, visit the wonderful World of Beatrix Potter, or simply enjoy a lake side shopping experience. 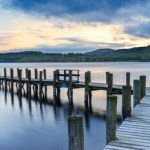 Located on the northern shore of Lake Windermere, Ambleside, and the smaller village and lake of Grasmere just a few miles further north, offer visitors fascinating history and rugged landscapes. Here you will find William Wordsworth’s former home, as well as a terminal for the lake steamers, and you can take a guided walk amongst some of the more popular Wainwright fells. The south-west of the Lake District offers some of the most wild and rugged landscapes, including Ennerdale Water and its wild valley, one of the last places in the UK that remains unspoilt by man. The most famous point in the south-west Lake District is of course Scafell Pike, England’s highest mountain and one third of the notorious three peaks challenge. 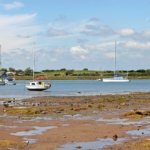 Ravenglass is a former Roman port that today is a quiet hamlet and the only part of the Lake District National Park on the coast. With its steam railway line that takes passengers into the deep wilds of Eskdale Valley, the village is popular with visitors. There are numerous campsites in the area and from here you can easily reach Wast Water, starting point for Scafell Pike ascent. The Furness Peninsula may not be included with the boundaries of the Lake District National Park but it still has much to attract visitors, including the South Lakes Safari Zoo where you can get up close and personal with some of the world’s most exotic creatures. 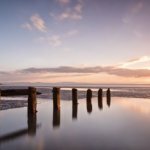 The peninsula forms part of Morecambe Bay and includes a couple of important nature reserves and Piel Island where you will find the historic Ship Inn.